The number of virtual machines (VMs) deployed by enterprise customers has increased 35 percent since the start of 2012, according to a new "2013 State of the Enterprise Cloud Report released by Verizon. The report, which draws upon Verizon data between January 2012 and June 2013, examines current cloud adoption and usage trends – in terms of how and why organizations are deploying cloud technologies. Among the key findings is continual growth. The Verizon data confirms that once an enterprise successfully deploys an application as a cloud-based service, the trend is to increase usage of processing, memory and storage on a continuing basis. Verizon also finds that sixty percent of cloud applications are web-based and Internet facing. As familiarity with cloud services grows, enterprise go on to deploy back-office applications. The eight page report is posted online. Beijing Mobile, a branch of the leading Chinese operator, China Mobile, has selected Nokia Solutions and Networks to implement its Quality of Experience (QoE) solution -- an end-to-end approach that helps operators analyze, act upon and monetize the wealth of customer data available across their organization. Specifically, NSN will collect fault, performance and configuration data from the network, to which it will add insights from its Serve atOnce Traffica system. This will allow Beijing Mobile to enhance customer satisfaction with voice, text messaging, web browsing, instant messaging and local social media services, such as Weibo. NSN will then develop a new service platform for the operator to address subscriber needs directly for a superior customer experience. NSN's Customer Experience Managemen (CEM) draws customer insight data from multiple sources, including the network, service and device performance, real-time subscriber experience and operator services. It enables data collection and consolidation to improve the user experience. "Beijing Mobile is responding to the needs of the ever-growing number of mobile internet users with a strategy that focuses on subscriber experience and ongoing O&M transformation instead of traditional network KPIs,” said Xue Rui, head of Delivery in Greater China region at NSN. “NSN helps operators understand the behavior of their subscribers better so that end user needs can be addressed quickly and directly with the new, sustainable customer service business model." The Open Networking Foundation (ONF) has selected Beijing Internet Institute (BII) as its first international certified conformance testing lab in Asia. BII’s testing lab in China evaluates vendors’ networking products for interoperability, conformance, function, and performance. The company will expand its evaluation services by partnering with ONF to test SDN and OpenFlow conformance. The lab will also offer organizations the opportunity to receive OpenFlow certification of their products. In addition, BII became a member of ONF to foster deployment and commercialization of SDN and the OpenFlow protocol amongst China’s service provider, data center, and enterprise markets. 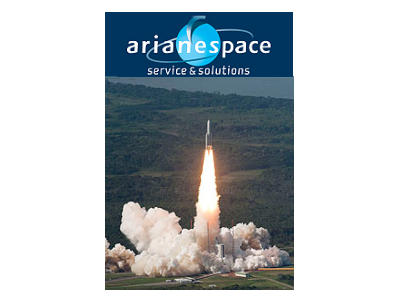 Arianespace successfully launched the EUTELSAT 25B/Es'hail 1 satellite aboard an Ariane 5 rocket. The satellite, which is jointly owned by Eutelsat Communications and the Qatar Satellite Company (Es'hailSat), is designed to serve broadcasters, businesses and public agencies in the Middle East, North Africa and Central Asia via capacity in the Ku and Ka-bands. It will replace the EUTELSAT 25C satellite at the key 25.5° East position to provide both superior geographic coverage and increased capacity to address dynamically expanding digital markets. Following EUTELSAT 25B/Es'hail 1's entry into service Eutelsat will redeploy its EUTELSAT 25C to another location where it will pursue commercial service. EXFO introduced an integrated 400G line rate test solution for simulating real-life services at 400 Gbps link capacity while monitoring key QoS metrics. EXFO's new IQS-610P-HS-400G test solution provides the ability to fill a 400 Gbps data pipe. It also provides the flexibility to configure up to four 100 Gbps client interfaces simultaneously with full traffic profiling, shaping and monitoring capabilities. "In a highly competitive market, NEMs are striving to deliver high-speed transmission solutions that meet carriers' need for speed and optical reach while improving compensation for optical impairments," said Claudio Mazzuca, Vice-President of EXFO's Transport and Service Assurance Division. "Thanks to EXFO's powerful and open test architecture, NEMs and carriers have the assurance of knowing that their new 400G systems are proven capable of handling any of the demanding services that may be placed on them in the future. In addition, 400G development and early trials can be complex and cumbersome to perform without the proper test solution." 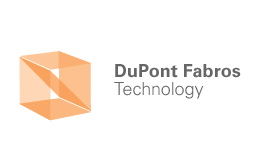 DuPont Fabros Technology (DFT) confirmed a new lease totaling 6.83 megawatts with an existing super wholesale Fortune 50 customer for data center space at its Santa Clara, California facility ('SC1"). The company said its tenant leased 2.28 MW of critical load for a term of 5.3 years, bringing Phase I to 100% leased and 94% commenced. The estimated GAAP return on investment of SC1 Phase I is 9.2%. The same Fortune 50 customer also pre-leased 4.55 MW of critical load in Phase II of SC1, enabling DFT to begin development of 9.10 MW of critical load in Phase IIA of SC1. Phase IIA is currently 50% pre-leased and is expected to be completed in the second quarter of 2014. One new lease in Piscataway, New Jersey ("NJ1") with a new Fortune 25 tenant for 2.28 MW of critical load with a lease term of 7.6 years. The available critical load of NJ1 is now 52% leased and commenced, up from 39%. The raised floor space is now 64% occupied up from 39% as this lease has a lower power density per square foot. One new lease in Reston, Virginia ("VA3") with the same Fortune 50 customer referenced above for 2.60 MW of critical load with a lease term of 5.1 years. VA3 is now 71% leased and commenced, up from 51%. Acquired 15 acres of vacant land in Elk Grove Village, Illinois to develop a second data center facility. Boosted its financial guidate, by increasing the low end from the prior range of $1.82 to $1.92 per share to $1.88 to $1.92 per share. "We have remained consistently focused on leasing our available inventory and are pleased to announce this significant execution towards our goal. Our overall operating portfolio is now 94% leased and 93% commenced. The newly acquired land in Chicago enables us to capture future demand in one of our best markets and expand upon our campus environment," commented Hossein Fateh, President and Chief Executive officer of DuPont Fabros Technology, Inc.
Huawei will provide its NE5000E 400G core routers for Total Access Communication Public Company Limited (DTAC), a large-scale mobile service provider in Thailand. Financial terms were not disclosed. Huawei said its NE5000E core routers simplify DTAC's backbone networks, upgrade the existing 40G equipment to 400G, and implement networking between 100GE and 10GE by changing subboards, thereby protecting investments. Gai Gang, president of Huawei's Carrier IP Product Line explained that "Rapid development of UMTS broadband and video services will generate tremendous traffic growth on backbone networks. Existing network architectures need to be upgraded. Now is the time to apply 400G technology. " Vodafone confirmed that it is in discussions with Verizon Communications regarding the possible sale of Vodafone's 45% interest in Verizon Wireless. Discussions are continuing. Press speculation has valued the transaction at up to $120-130 billion.